Much has been said about what the popular mobilisation in Gaza, which began on March 30, 2018, represents. Sympathetic views rightly understood the daily protests at the fence separating Israel from the besieged Gaza Strip, as a people frustrated with a protracted and inhumane blockade. Others emphasised the fact that the protesters are mostly refugees from historic Palestine (today’s Israel), who are demanding their right to return home. Unsympathetic, dubious media reports, however, kept poking holes in the above facts, with Israeli and pro-Israeli media falsely claiming that the popular initiative is a Hamas-driven ploy to embarrass Israel by placing people in harm’s way for cheap media attention. Nearly 250 unarmed Palestinians were killed and thousands more maimed by Israeli snipers since the protests began. What is largely missing from the discussion, however, is the collective psychology behind this kind of mobilisation and why it is essential for hundreds of thousands of besieged people to rediscover their power and understand their true positions, not as hapless victims, but as agents of change in their own society. In fact, the narrow reading or the misrepresentation of the ‘March of Return’ speaks volumes about the overall underestimation of the role of the Palestinian people in their own struggle for freedom, justice and national liberation, extending over the course of a century. Indeed, the story of Palestine is the story of the Palestinian people, for they are the victims of oppression and the primary channel of resistance, starting with the Nakba — the creation of Israel on the ruins of Palestinian towns and villages in 1948. Had Palestinians not resisted, their story would have concluded then, and they too would have disappeared. And indeed, for 70 years, Palestinians embarked on that journey of the recreation of the self. They resisted, and their resistance, in all of its forms, moulded a sense of collective unity despite the numerous divides that were erected among the people. 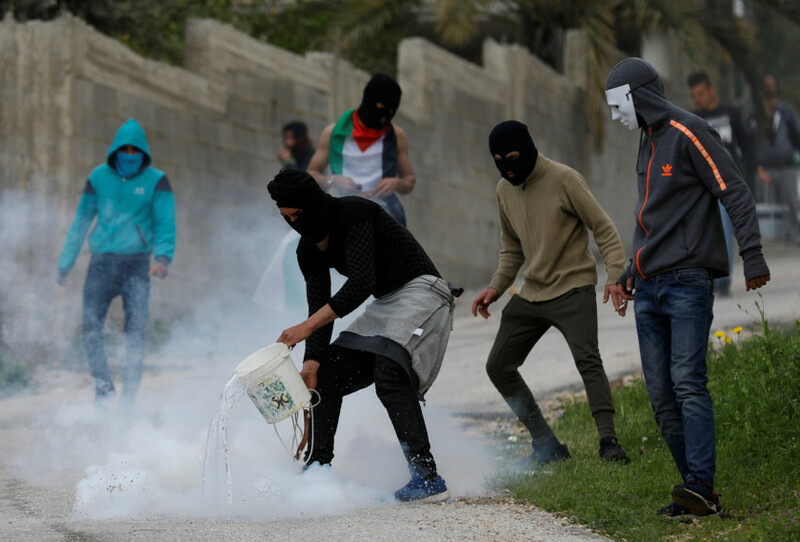 The ‘Great March of Return’ is the latest manifestation of the ongoing Palestinian resistance. Indeed, the ‘Great March of Return’ is the daily manifestation of a people attempting to reclaim their own role, and to be recognised and heard in the struggle for the liberation of Palestine. It is obvious that elitist interpretations of Palestine have failed — Oslo proved a worthless, tired exercise in empty cliches aimed at sustaining American political dominance in Palestine as well as in the rest of the Middle East. It is only when the Palestinian intellectual, guided by the resistance of her/his people, is able to repossess that collective narrative, that the confines placed on the Palestinian voice can finally be broken. Neither the Palestinian historian nor the Palestinian people are usually at the heart of the stories or facts pertaining to Palestinian history. This predisposition is not only pertinent in the case of Palestine, but is also an ailment that has afflicted Middle East history, politics and journalism for decades. In the Zionist Israeli narrative, Palestinians, if relevant at all, are depicted as drifting nomads, an inconvenience that hinders the path of progress. This is clearly a duplicate narrative to the one that regularly defined the relationship between every western colonial power and the resisting (oppressed) natives. From the Zionist perspective, the ‘existence’ of the natives is only meant to be temporary. “We must expel Arabs and take their places,” wrote Israel’s founding father, David Ben Gurion. The assigning of the Palestinian people the role of dislocated, disinherited and nomadic people without worrying much about the ethical and political implications of such a decision has erroneously presented Palestinians as a docile and submissive collective. Palestinians did so because they understand their centrality in their own struggle. Their protests are a collective statement, a cry for justice, an ultimate reclamation of their narrative as a people — still standing, still powerful and still hopeful after 70 years of Nakba, 50 years of military occupation and 12 years of unrelenting siege. Ramzy Baroud is a journalist, author and editor of Palestine Chronicle. His latest book is ‘The Last Earth: A Palestinian Story’ (Pluto Press, 2018). He earned a PhD in Palestine Studies from the University of Exeter (2015), and was a Non-Resident Scholar at Orfalea Centre for Global and International Studies, UCSB.